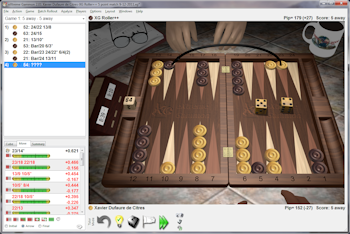 In 2002, the first version of our backgammon Engine appeared on Gammonsite as computer player opponent. After many years of development, in June 2009 eXtreme Gammon was released. It very quickly became the de-facto standard program for backgammon players. Independent studies have shown that eXtreme Gammon is the strongest computer program in the world. A mobile version of eXtreme Gammon was released on iPhone and iPad on July 2012. The Android version was released on July 2014.